To demonstrate whether young people with T1D using modern insulin treatment and CGM could successfully participate in extreme sport activity while maintaining good glycemic control. The challenge took place in Crete/Greece over 4 days combining a long-distance trek of different levels of severity with final destination the summit of the White Mountains at 2080 m. Eleven participants (5/6 female/male, age 18.2 ± 1.3 years, T1D duration 7.9 ± 3.5 years, HbA1c 7.3 ± .7% (56 ± 16 mmol/mol); mean ± SD) from 11 SWEET centers in Belgium, Brazil, Canada, Germany, Greece, France, India, Italy, Portugal, Slovenia and Sweden participated to the challenge. Five participants were on CSII, six on MDI; all were wearing a continuous glucose monitoring system. The glycemic targets during trekking were defined as 80–180 mg/dl (4.4–10 mmol/l). All participants completed the challenge. In total, the group walked 54.5 km under varying climate conditions (temperature 14–35 °C). During the challenge, insulin requirements decreased significantly compared to baseline: total daily insulin by 31.1 ± 16.7% (p < .001), basal by 30.8 ± 14.9% (p < .001), and prandial by 32.5 ± 28.0% (p = .023), with no differences between participants with CSII or MDI. No episode of severe hypoglycemia or DKA occurred. Mean glucose levels were 170.7 ± 60.1 mg/dl with 61.5 ± 18.7% of CGM values in the target range, 5.4 ± 5.4% under 80 mg/dl and 32.8 ± 16.6% above 180 mg/dl. 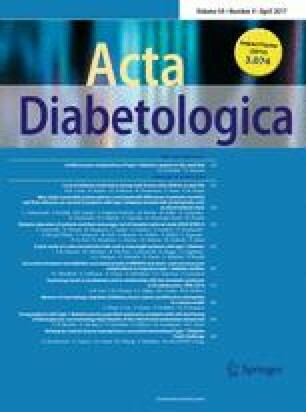 The results of this SWEET Initiative activity demonstrated that well-educated adolescents and young adults with T1D using modern insulin treatments are able to perform successfully even extraordinary physical challenges while maintaining good glycemic control without diabetes-related acute complications. The authors cordially thank Sanofi Diabetes (Mrs. Hélène Catallo-Hoffnung, Mrs. Stéphanie Coelho, Mrs. Catherine Domenger, MD) for financial support as well as SWEET e.V. (Dr. Katharina Klee, Mrs. Ines Hiller) for excellent logistic support and organization of the initiative. Particular thanks go to Jean-Philippe Delhaye and his team for the precise and affectionate organization of the trekking on Crete as well as to Andreas Kandalepas (main guide) and his team for their high expertise and safe guidance through the rough terrain and mountains in Crete. Finally yet importantly, our thank go to the two mentors Mrs. Delphine Arduini (Word Diabetes Tour, France) and Mr. Peter Nerothin (USA) for their positive and unresting support of the 11 extraordinary young participants with T1D (Charlotte/France, Iza/Slovenia, Konstantinos/Greece, Lennert/Belgium, Maitry/India, Markus/Sweden, Marta/Italy, Megan/Canada, Pedro/Brazil, Pedro/Portugal and Tim/Germany) who proved that striving for good control can help to achieve ambitious targets. We also thank the medical teams of the participating SWEET centers: T. Danne, MD/Children’s Hospital AUF DER BULT, Hannover, Germany; Natasa Bratina, MD/University Children’s Hospital, Ljubljana, Slovenia; Kristina Casteels, MD/Department of Pediatrics, University Hospital Leuven, Leuven, Belgium; Josephine Ho, MD and Daniele Pacaud, MD/Alberta Children’s Hospital, University of Calgary, Calgary, Canada; Jaques Beltrand, MD/Hôspital Necker—Enfants Malades, Paris, France; Dhruvi Hasnani, MD/DIA Care, Ahmedabad, India; Valentino Cherubini, MD/Division of Paediatric Diabetes, Salesi Hospital, Ancona, Italy; Sofia Castro, MD and Filipe Raposo, MD/Peadiatric Part of Associação Protectora dos Diabéticos de Portugal, Lisbon, Portugal; Gun Forsander, MD/Department of Diabetes, Queen Silvia Children’s Hospital, Sahlgrenska University Hospital, Gothenburg, Sweden. OK served on advisory board of Novo Nordisk and owns stocks of DreamMed Ltd. OK’s Institution received research grant support from Abbott, Medtronic, Novo Nordisk, Sanofi and Astra Zeneca. TB served on advisory boards of Novo Nordisk, Sanofi, Eli Lilly, Boehringer, Medtronic and Bayer Health Care. TB’s Institution received research grant support, with receipt of travel and accommodation expenses in some cases, from Abbott, Medtronic, Novo Nordisk, GluSense, Sanofi, Sandoz and Diamyd. TB received honoraria for participating on the speaker’s bureaux of Eli Lilly, Bayer, Novo Nordisk, Medtronic, Sanofi and Roch. TB owns stocks of DreamMed Ltd. AV-G, MS and MW do not declare any conflict of interest. All procedures performed in studies involving human participants were in accordance with the ethical standards of the Ethics Committee of the Medizinische Hochschule Hannover (Number of Approval 18–848) and with the 1964 Helsinki declaration and its amendments or comparable ethical standards. All subjects gave assent and written informed consent prior to participation.